Here at European Springs and Pressings Ltd, we&apos;ve frequently spoken about the predicted engineering shortage that is set to hit the UK, and have also touched upon the need to re-educate people concerning the correct definition of engineering. People think that engineering is dull, but one recent article we&apos;ve seen should undoubtedly correct that mistaken opinion. 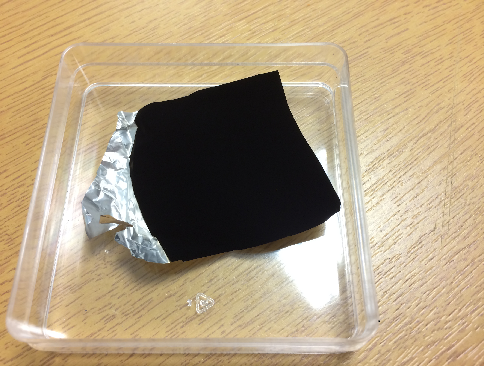 The material in question is known as &apos;Vantablack&apos;, and it is renowned as the substance with the darkest colouring in the world. Formed from low temperature carbon &apos;nanotubes&apos; Vantablack essentially conforms to a &apos;sheet&apos; form, and has been hailed as representing a &apos;major breakthrough&apos; by the UK engineering industry. Developed in Surrey, the material exhibits an exceptionally low mass, great thermal stability and the almost unprecedented ability to absorb 99.96% of all radiation and light. Instrumental within the aerospace industry, and previously being proposed as a space-based material, the fact is that Vantablack could now begin to appear in far more commonplace applications as well. In the main, Vantablack was intended as an aid to improve the sensitivity of space-faring equipment; especially those like optical sensors. However, according to The Engineer Vantablack is now being thought of as a solution to &apos;any instrument where light suppression is critical&apos;. This means that it could soon be included within military equipment, astronomical telescopes and cameras, and even infra-red systems. Vantablack is an astonishing new creation that has only been realised as a result of the combined efforts of many UK engineers. However, too many people still think only of mechanical maintenance and hard manual labour when the term &apos;engineering&apos; is mentioned. That&apos;s a grossly unfair diagnosis when you consider that UK engineers are hard at work inventing new materials to improve our mastery in outer-space, In light of the predicted skills shortage, this is exactly the sort of re-education that people – especially young people with a flair for engineering – need to be given. At European Springs, products like our compression springs are widely used in the engineering industry, and they even find their way into &apos;glamorous&apos; industries like the aerospace sector. Not bad for what is essentially a coiled wire form! As we&apos;ve recently expanded our premises, we can meet any sort of demand for springs and pressings that you might have, and can even create custom-made springs for specific environments. No matter what adventurous branch of engineering you are involved in, we can fashion the ideal springs for you. Contact us now by calling +44 (0) 208 663 1800 or send us an email at info.bec@europeansprings.com to find out more.